A fairy tale come true! Hours after announcing their engagement, Prince Harry and Meghan Markle appeared for a photo call at Kensington Palace in London on Monday, November 27. The couple were all smiles as they posed for photographers at the palace’s Sunken Garden, which serves as a memorial to Harry’s late mother, Princess Diana. The prince, 33, wore a classic navy suit, while the Suits actress, 36, looked stunning in a white jacket over a knee-length green dress. She briefly flashed her engagement ring — which Us Weekly exclusively revealed features diamonds from a brooch that belonged to Diana — during the appearance. Clarence House confirmed that the former Army helicopter pilot popped the question to his bride-to-be in London earlier this month. He has informed Queen Elizabeth II and also received the blessing of Markle’s parents, Thomas Markle and Doria Ragland. 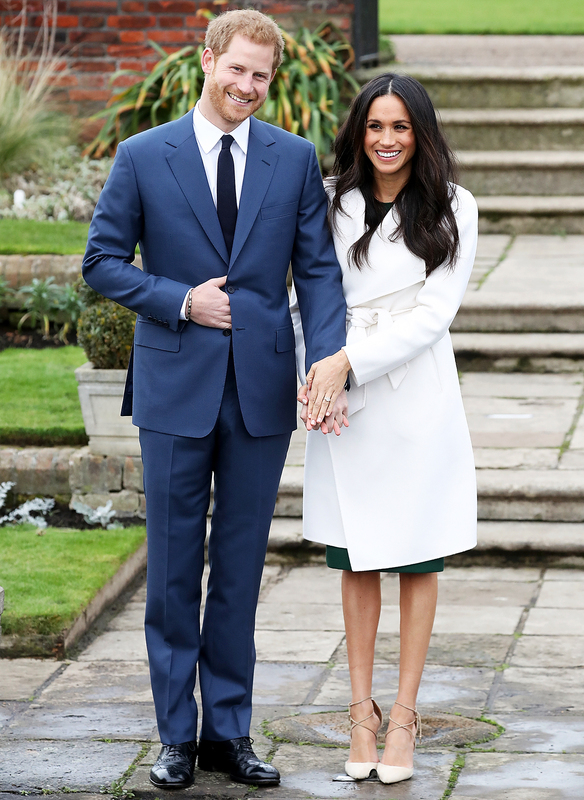 Us broke the news that the couple will live in Kensington Palace’s Nottingham Cottage, which is just a short walk from Prince William and Duchess Kate’s home. Harry and Markle met in London in July 2016. They made their first joint appearance this September at the Invictus Games in Toronto. She moved to London earlier this month after finishing her seventh and final season of Suits.